Dubai: More vacancies continue to open up for jobseekers in Dubai, with newly established companies recently hiring nearly 10,000 workers in just one month, up 13.4 per cent from February, the latest official data showed. The new employment opportunities were created last month by businesses in various sectors, including real estate, construction, hotels, transportation and manufacturing, among many others. According to the Department of Economic Development (DED), a total of 2,459 new businesses secured their licenses in March 2019, and that resulted in the creation of 9,661 jobs in the labour market. 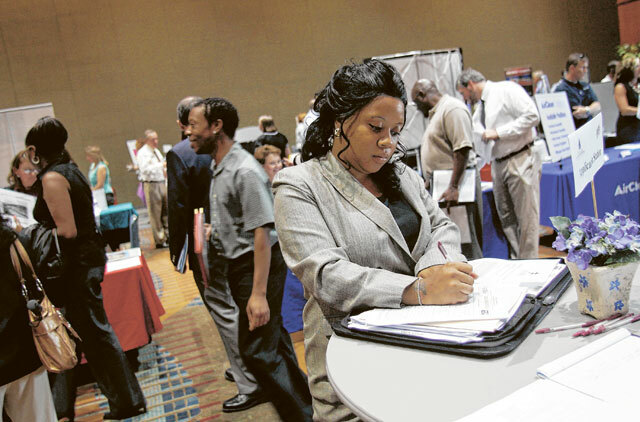 There were more jobs opening up in March compared to February, which recorded at least 8,515 new vacancies. Recruitment specialists had earlier predicted that opportunities for jobseekers in the UAE would improve this year, as new companies set up shops, while existing ones expand their headcounts. DED’s latest figures also showed that there has been an increase in the number of business registration and licensing transactions, which hit 27,531 last month, posting a growth of 4.9 per cent compared to the same period last year. And, among the business owners who have recently secured new licenses, the majority are from India, which topped the list, followed by Pakistan, Bangladesh, Egypt, China, Jordan, the Philippines, Saudi Arabia, Lebanon, Canada and France. The biggest proportion of these companies are still located in Bur Dubai, which accounted for the largest share (1,368), followed by Deira (1,088) and Hatta (3). Firms that offer trade and repair services accounted for 31.3 per cent of the new licenses. A considerable number are also into real estate, leasing and business services, accounting for 27.7 per cent, while those that are into building and construction business accounted for 14.1 per cent of the permits issued. Businesses classified under community and personal services accounted for 10.6 per cent, while hotels got 5.5 per cent of the permits, followed by transport, storage and communications (4.5 per cent), manufacturing (2.3 per cent), financial brokerage (1.5 per cent), health and labour (1.4 per cent), education (0.6 per cent) and agriculture (0.5 per cent). The latest Cooper Fitch 2019 Salary Guide had earlier predicted that hiring in the UAE could increase by 10 to 15 per cent in 2019. One of the drivers for new jobs is the hosting of Expo 2020 in Dubai. Michael Gilmore, managing partner of headhunting firm Jordan Forde had said in December that companies in the construction industry were showing an appetite for hiring new staff. “Expo 2020 is creating an increasing demand for construction professionals on the delivery side, as we are entering the build stage of 2020,” Gilmore said.